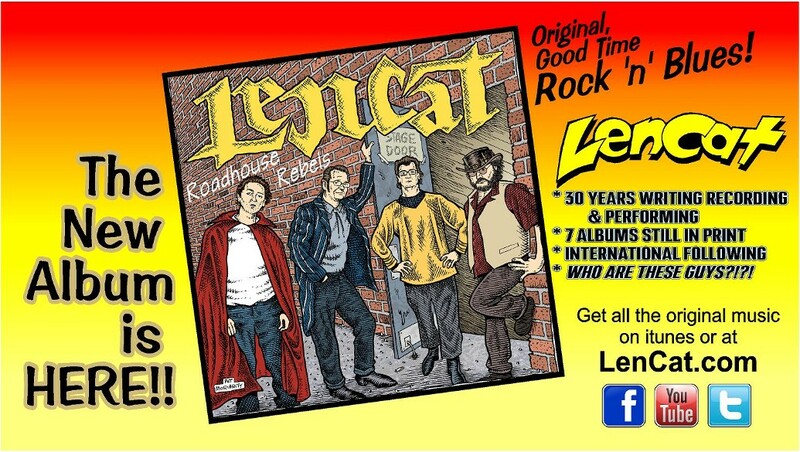 LenCat is a Good Time Rock 'n' Blues band that's been recording and performing for decades. 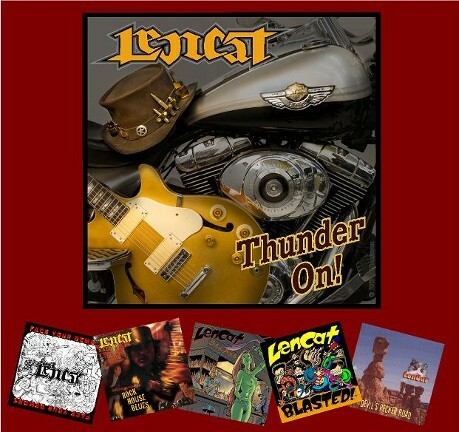 They have EIGHT albums still in print and the new one is comming out THIS YEAR! Sat Feb 2 Little Lou's, Campbell 8-11 Super Bowl Saturday! Sat Apr 20 Pioneer, Woodside 9-1 420! The new T-shirt is SOLD OUT! We'll have another one soon! 2009 Rock House Blues - Rockin' Blues for all!